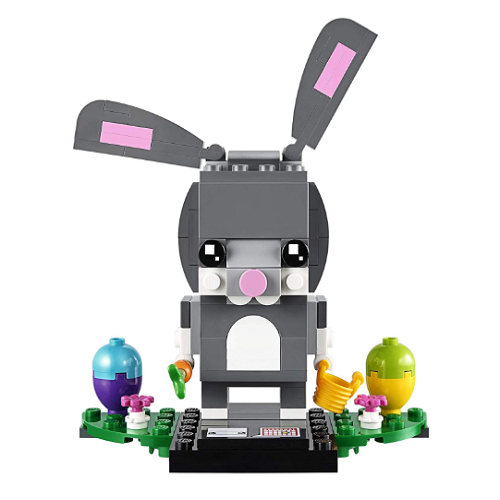 LEGO BrickHeadz Easter Bunny Building Kit Only $9.99!! I love this set!! Not only would it make a cute Easter Gift, but it would be a great decoration every year! Head over to Amazon and get this Lego BrickHeadz Easter Bunny Building Kit for Only $9.99!! Hunt for eggs with this fun LEGO® BrickHeadz™ Easter Bunny construction character. Check out its cute cheeks and enormous movable ears. This perfect seasonal gift also comes with a detachable carrot and bucket, plus 2 Easter eggs and flowers, and stands on a buildable collector’s baseplate with a seasonal calendar and BrickHeadz logo for easy display in the home, office or anywhere they like.